Reservations required with one night deposit, Visa & Mastercard accepted. Cancellation Policy: Deposits will be refunded if cancellation is made 14 days prior to arrival. Any cancellations beyond this date will not be refunded. 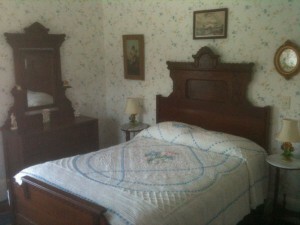 At the Lodge, our antique-filled rooms offer queen or king size beds, with lovely, hand-stitched comforters. 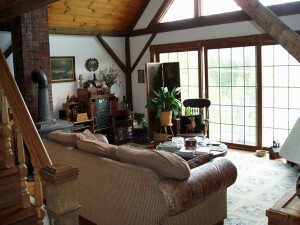 Several rooms offer beautiful views of the surrounding countryside. 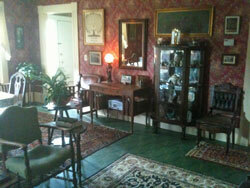 There are no televisions or telephones to disturb the solitude of our guests. A full sit-down breakfast is included in the rate for these rooms. 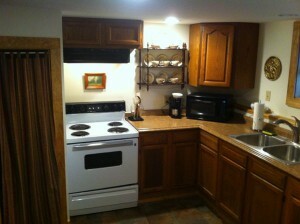 Groups of up to 12 people can rent the entire Lodge without breakfast at a discounted rate. This rate includes use of the Lodge for housing only. It does not include the use of the banquet room or caterer’s kitchen and if a party or event is planned event charges apply. 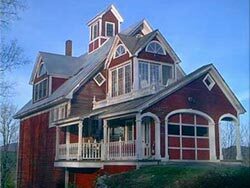 For more info on the Lodge, please click here. Maximum occupancy is 12 people. No additional guests without prior approval of management. Additional fees can be charged if this rule is broken. 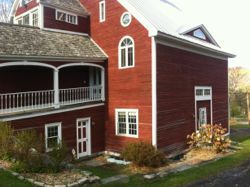 The recently restored Farmhouse was designed to provide guests with optimal comfort and flexibility in an elegant historic setting. 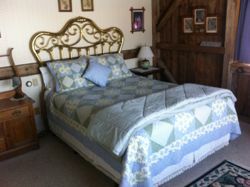 The four charming antique filled bedrooms are available with either 2 twins or 1 king, 1 queen or 1 double bed. 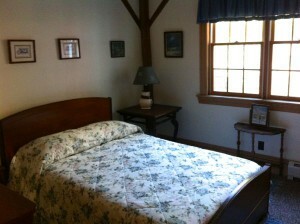 Two of the rooms are very large and can accommodate an additional cot. 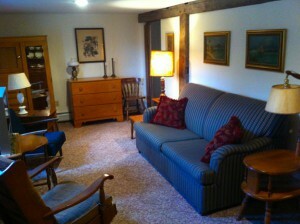 The cozy common rooms come with an additional queen size sleeper couch, cable television and wifi. 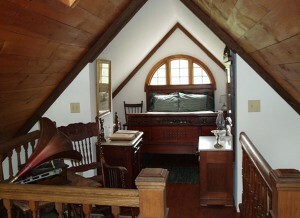 All rooms come with a private bath or half bath. 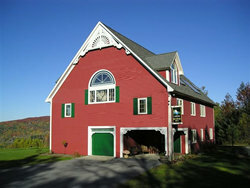 For more info on the Farmhouse, please click here. 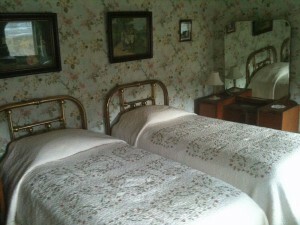 A full breakfast is included in the rate for these rooms. Remove $10 without breakfast. Maximum occupancy is 10 people. No additional guests without prior approval of management. Additional fees can be charged if this rule is broken. 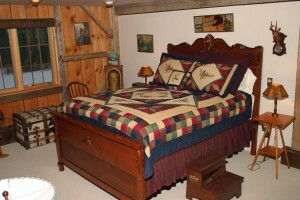 The Loft at the Barn is our top of the line accommodation. Almost 1500 square feet of antique-filled living space with full glass front, views of magnificent mountains, and a rear glass-walled solarium overlooking a secluded garden. 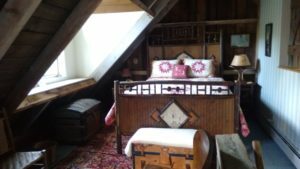 the Loft is an ideal romantic hideaway for two, but with the use of the solarium sleeper couch, it can accommodate up to four guests. Includes a full kitchen, loft bedroom, library, dining room, sweet hidden TV room, solarium/garden room, and spacious living room with wood stove/fireplace. For more info on the Loft, please click here. As a full kitchen is provided, breakfast is not included. Maximum occupancy is 4 people. No additional guests without prior approval of management. Additional fees can be charged if this rule is broken. 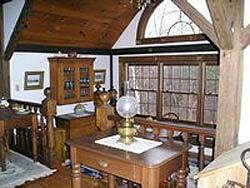 The Cottage was completely renovated in 2013 with the installation of a new expanded kitchen and new bathrooms. 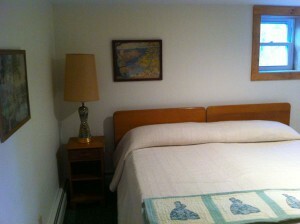 The most affordable option at Millstone Hill, groups can rent the entire cottage or rooms can be rented individually. 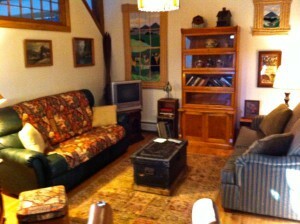 The cozy common areas come with an additional sleeper couch, cable television and wifi. 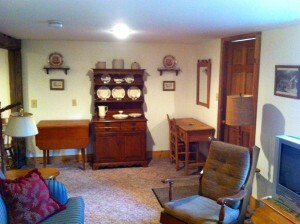 For more info on the Cottage, please click here. Maximum occupancy is 8 people. No additional guests without prior approval of management. Additional fees can be charged if this rule is broken. 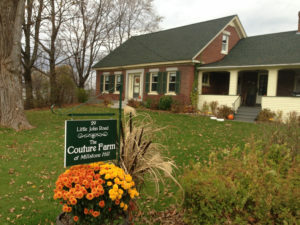 This is a brand new unit that was created as part of the Barn renovation in 2013. This is a cozy one bedroom unit with living room, fully equipped kitchen and sleeper couch and includes wifi and cable television. 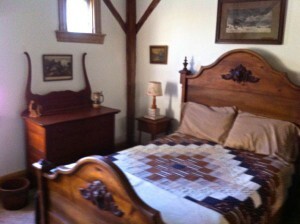 The bedroom is available with either one king or two twins. 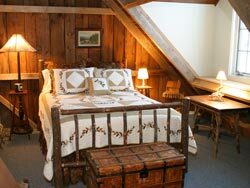 This is perfect for 2 to 4 people and extended stays. For more info on the Studio, please click here. Dogs on premises must be kept on leash at all times. 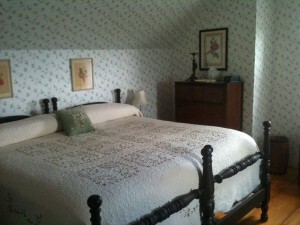 – In the Lodge, the Ira Harrington Room, with a private bath and adjoining sitting room is our dog friendly option. – The Studio, a one bedroom apt. is also dog friendly. 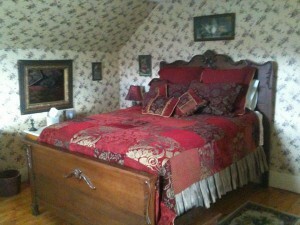 There is an added charge of $25 per night for our guests traveling with their dogs. Dogs cannot be left in the room when guests are not present. Please bring your dog’s bed or appropriate bedding with you to prevent the dog from lying directly on our bedding. If the room or bed is covered in dog hair when vacated, an additional cleaning charge will be required. At all locations, stay for 4 nights, receive the 5th night free. 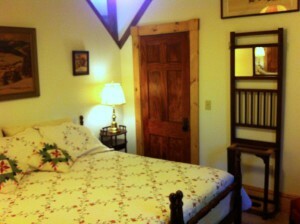 Each additional night is 20% off. This discount does not apply to peak foliage weeks and holidays. 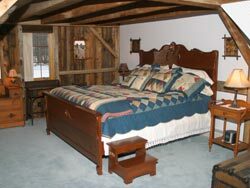 We offer special rates to local businesses looking for mid-week accommodations for business associates. Please call us for more information on rates, which can vary depending on length of stay and level of service required.